Passage of the Antiterrorism and Effective Death Penalty Act of 1996 (AEDPA), the Illegal Immigration Reform and Immigration Responsibility Act of 1996 (IIRAIRA) and the amendments to the INA imposed harsh sanctions on non-citizens in the United States. Some of the most sweeping changes dealt with the impact of criminal activity. Many acts that were not considered deportable offenses under the old law now carry serious immigration penalties: Such penalties include deportation and, in many cases, permanent exclusion from the United States. In addition, most aspects of the law are retroactive to convictions prior to 1996. For non-citizens, the immigration consequences of a criminal conviction may be far greater than any probation, fine or even incarceration. For non-citizens convicted of crimes, particularly those carrying state or federal prison sentences, there are numerous instances in which the USCIS has begun proceedings to deport them from the United States. In many cases deportation is the end result regardless of the length of time or, familial ties in the United States, or even the severity of the crime committed. Based on a criminal conviction, an alien might be removed or, at the extreme, permanently barred from entering the United States. In some circumstances, criminal conduct may preclude a finding of good moral character under the INA, which is a requirement for naturalization. Sometimes, immigration consequences of criminal activity encompass delays in obtaining American visas and denial of immigration benefits while in the United States. Therefore, harsh consequences that follow a criminal conviction, especially one for an aggravated felony, require aliens to hire both immigration and criminal attorneys to work together in structuring pleas or developing trial strategies to prevent their clients’ deportation from the United States. Prior to the passage of IIRAIRA, persons seeking entry to the United States who were found to be inadmissible were placed in what was known as exclusionary proceedings. Persons already admitted to the United States and found to have violated immigration laws were placed in what was known as deportation proceedings. Since the passage of IIRAIRA, aliens are now placed in so-called removal proceedings. The IIRAIRA also eliminated the former definition of “entry” and replaced it with “admitted” and “admission”. Aliens seeking entry to the United States, may be considered inadmissible under INA 212 .or deportable under INA 237, and, therefore, placed in removal proceedings. In order to evaluate the consequences of a criminal offense, it is important to evaluate whether the conviction itself constitutes one under immigration law. The length of imprisonment often indicates that a conviction is an aggravated felony under immigration law. For example, a crime of violence, for which the term of imprisonment is one year or more, is an aggravated felony. The present statutory definition of “criminal conviction” makes no distinction between the imposition of a sentence and its execution. Both constitute a conviction, which means a client may be considered an aggravated felon, and, thus, deportable, without ever having served a day in jail. An experienced immigration attorney is crucial to advocate for sentences of less than one year. When a deferred adjudication statute requires admission of sufficient facts to warrant a finding of guilt and some form of punishment is ordered (the program itself), such adjudication is considered a conviction for immigration purposes. However, a sentence for probation alone is not considered one for confinement or imposition under INA 101(a)(48), and, therefore, is not deemed a conviction. Convictions that have been expunged nonetheless may be considered as such under immigration law. In Matter of Roland, 22 I&N Dec. 512 (BIA 1999), the BIA held it would not recognize “…any state action, whether it is called setting aside, annulling, vacating, cancellation, expungement, dismissal, discharge, etc. of the conviction . . . that purports to erase the record of guilt of an offense pursuant to a state rehabilitative statute.” This means that, even if an expungement has been granted because a client was rehabilitated or complied with certain rehabilitative requirements under state law, the resulting expungement may not work to avoid removal. If a conviction, however, has been expunged because of constitutional or procedural defects, such an expungement may avoid removal. Vacation of judgment, however, may not constitute a conviction for immigration purposes. The BIA held in Matter of Rodriquez-Ruiz, 22 I&N Dec. 1378 (2000), that a conviction vacated under New York Criminal Procedure Law does not constitute a conviction for immigration purposes. The BIA distinguished its decision in Roland on the grounds that the alien’s conviction had not been expunged, as adjudicated in Roland, and there was no evidence that the authority under which the conviction was vacated was rehabilitative in nature. Juvenile delinquency adjudications are not convictions under immigration law. A juvenile adjudication, however, may affect an alien’s eligibility for familial unity benefits. The Family Unity Program provides for an automatic stay of deportation and employment authorization for spouses and unmarried children of persons granted temporary or permanent residence status as a special agricultural worker, amnesty, or Cuban or Haitian entrants. A minor child, however, can lose those benefits if he is convicted of an act of juvenile delinquency, which, if committed by an adult, would be considered a felony involving violence or an act of violence. 8 CFR 236.18. Under some circumstances, sentences under the Youth Act may not constitute convictions under immigration law. If the state statute corresponds to the Federal Juvenile Delinquency Act, then an alien may be eligible for sentencing under the special scheme for youth offenders. An experienced immigration attorney can examine the sentencing statute to determine whether the scheme is similar to the Federal Juvenile Delinquency Act, codified at 18 USC 5031-5042. If a person receives a full and conditional pardon from the President of the United States, governor of a state or constitutionally recognized executive body, he is not removable for crimes of moral turpitude, multiple criminal convictions, aggravated felonies and high-speed flight from immigration checkpoints pursuant to INA 237(a)(2)(A)(v). Today, aliens may be removed for crimes that do not result in convictions. Under certain circumstances, adverse immigration consequences may be triggered if a person is a drug user and addict, or if there is a reason to believe that a person is a drug trafficker. Moreover, if he is the spouse or child of a drug trafficker who has knowingly profited from the drug trafficking pursuant to INA 212(a)(2)(C)(ii), then this may also have severe immigration consequences. Non-citizens who admit to a crime involving a controlled substance or to a crime of moral turpitude are removable, and cannot establish good moral character under INA 101(f)(3). They are not entitled to any form of relief or immigration benefits. To remove an alien from, or deny admission to, the United States, one must consider four factors. First, the conduct in question must be a crime under the law of the place where it is committed. Second, an alien must admit to the conduct involving moral turpitude, and it cannot be an admission to a broad criminal statute. Third, an immigration officer must provide an alien with a definition of the crime before he can make a valid admission to a crime of moral turpitude or of a controlled substance. Fourth, the admission must be made freely and voluntarily. Why hire us for your criminal matter? We will explore all defenses in your case and will work closely with your criminal defense attorney prior to the commencement of any criminal proceedings. 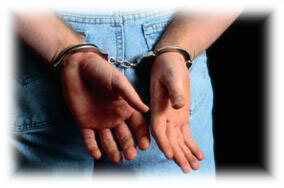 This will minimize the consequences of the criminal conviction on your immigration status. If a conviction is inevitable, we will determine whether you qualify for relief. Although AEDEPA and IIRAIRA have limited the forms of relief, certain defenses are still available for aliens. Some of these defenses include cancellation of removal for certain permanent residents under former INA 212(c), asylum, withholding of removal, relief under the Convention Against Torture, general nonimmigrant waivers, request for deferred action, waivers for certain criminal conduct, including aggravated felonies and prostitution, the “petty offense exception”, pursuit of citizenship through naturalization or eligibility through acquired citizenship.